It's The First Teaser For THE X-FILES Revival | Warped Factor - Words in the Key of Geek. Whoa, did someone just walk all over Mulder’s “I Want to Believe” poster? Shots fired! If the excitement being experienced for the revival series wasn’t already at an all-time high, that will have certainly done the trick. From the moody lighting, mixed with Scully’s fiery mane and iconic theme song, I'm in a mental whirlwind of conspiracy theories once again. Thirteen years after the original series run, the next mind-bending chapter of THE X-FILES will be a thrilling, six-episode event series helmed by creator/executive producer Chris Carter, with stars David Duchovny and Gillian Anderson re-inhabiting their roles as iconic FBI Agents FOX MULDER and DANA SCULLY. This marks the momentous return of the Emmy- and Golden Globe Award-winning pop culture phenomenon, which remains one of the longest-running sci-fi series in network television history. Production on THE X-FILES event series is set to begin in summer 2015. THE X-FILES originally premiered in September 1993. Over the course of its nine-season run, the influential series went from breakout sci-fi favorite to massive global hit, and became one of the most successful television dramas of all time. 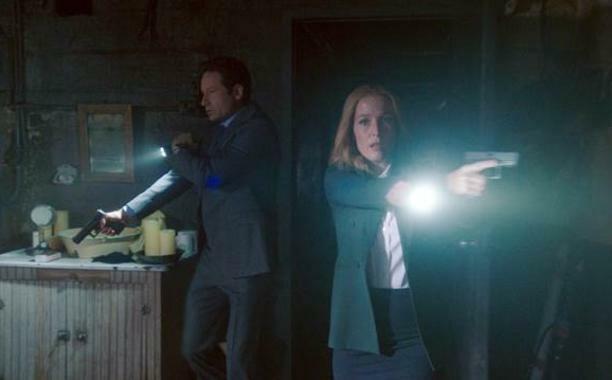 The show, which earned 16 Emmy Awards, five Golden Globes and a Peabody Award, follows FBI special agents Scully (Anderson) and Mulder (Duchovny), as they investigate unexplained cases – “X-Files” – for which the only answers involve paranormal phenomena. There was quite a lot packed into that 15-second clip that it may very well be safe to say that the truth is in there…somewhere. We will find out when The X-Files returns, Sunday January 24 2016.